Healthy, fresh and delicious are some of the words that best describe what kind of food Freshii restaurant offers to its customers. Taking inspiration from small and independent delis that carry fresh food, former Oscar dela Renta employee and now Freshii CEO, Matthew Corrin comes up with an idea to establish a casual restaurant that caters to healthy eating. The first Freshii restaurant was founded in 2005 at Toronto, Canada under the name of Lettuce Eatery and since then has expanded to over 100 locations worldwide. Freshii offers to revolutionize the way people eat by providing healthy food choices that are delicious, affordable and nutritious but still satisfying to one’s palate. At Freshii customers have the options of choosing their meals from a wide variety of chef-designed menu or they can simply customize and create their own meal. Freshii catering is perfect for those people who’s always on the go yet craves for nutritious food but has no time to prepare for one. Freshii makes sure to provide its customers not just a wide variety of quality healthy foods but they can also expect top notch services from its employees. What sets Freshii apart from other catering services is the fact that they provide good healthy choices and are willing to customize their dish base on customer preferences. With over 70 fresh ingredients to choose from customers can always select or create a meal base on what suites their dietary needs. If you’re having an event, be it corporate, birthday celebration or simply having friends over yet couldn’t find time to prepare meals that would wow your guest, then you could always count with Freshii to bring delicious, healthy and affordable foods right through your door steps. Freshii’s catering offers a wide variety of guilt-free food choices for different types of people. They provide options for their customers to eat healthy without the hassles of shopping, preparing and cooking foods. The menu consist of burritos, salads, wraps, soups and other healthy foods that will surely guaranteed customer of feeling good after eating. One of the most famous items from Freshii’s menu is The Lunch Box. Categorize into 4 different kinds, customer has the option to choose whether to go for Salad, Wrap, Bowl or a Burrito Lunch Box. Each lunch box includes the food of your choice plus an additional drink and snack to go with it. Aside from The Lunch Box, Freshii’s catering also offers Burritos by the Box which is good for twelve people. It includes 3 of their famous burritos which are Baja, Smokehouse and Tex Mex plus additional chicken and tofu on the side. Since the concept behind Freshii is customizable customers are given a paper receipt called Fast Ticket in which they could note what ingredients and dressings they would want on their meals. Once they are done with their choices they can present it to the cashier. For bulk orders customer must contact and notify Freshii 24 to 48 hours prior to their event. To order you could always visit Freshii’s official website www.freshii.com and check on the location tab to find out where the nearest branch of Freshii on your area is located. Freshii catering requires a minimum of at least 10 people per order and a minimum price of about $50. Prices are subjected to change depending on how large the order is. Prices are not yet available on their website, which means customer needs to call and speak to them directly to place an order. 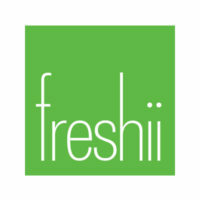 Numbers to the nearest Freshii on your area can be found on website map locator. The best thing about Freshii’s catering is that it gives its customers the option to either pickup their order or have someone deliver it to them. Delivery and pick up hours are as follow. If you want to eat healthy, nutritious and delicious food that energize and suites your daily need then Freshii is the place for you.